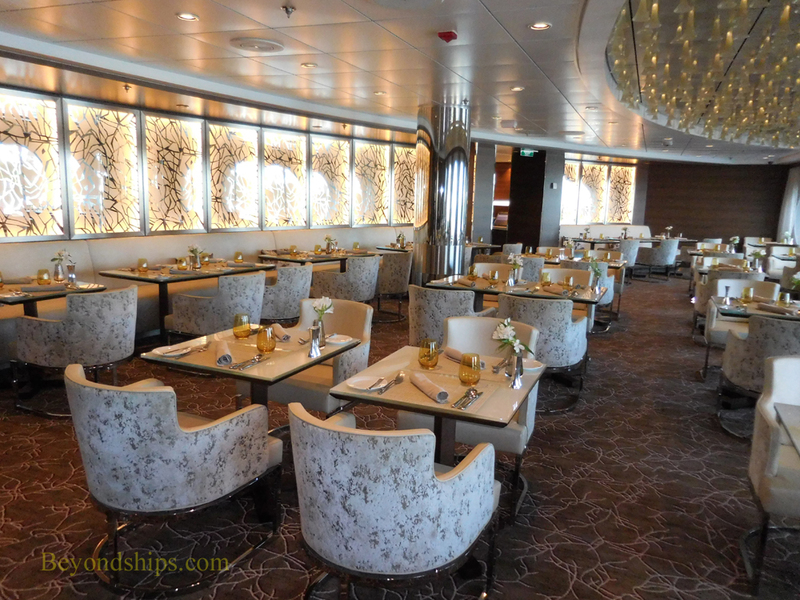 Constellation has three dining rooms. 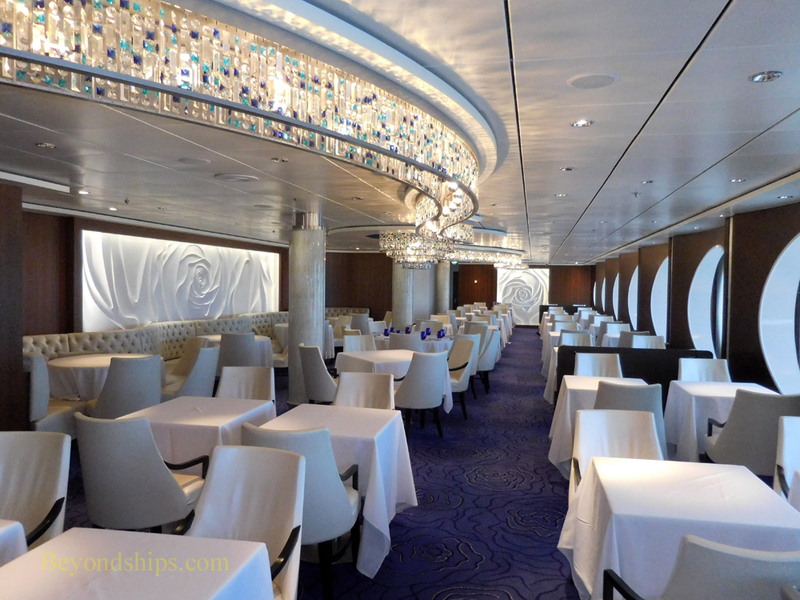 The guest's cabin category determines that guest's restaurant. 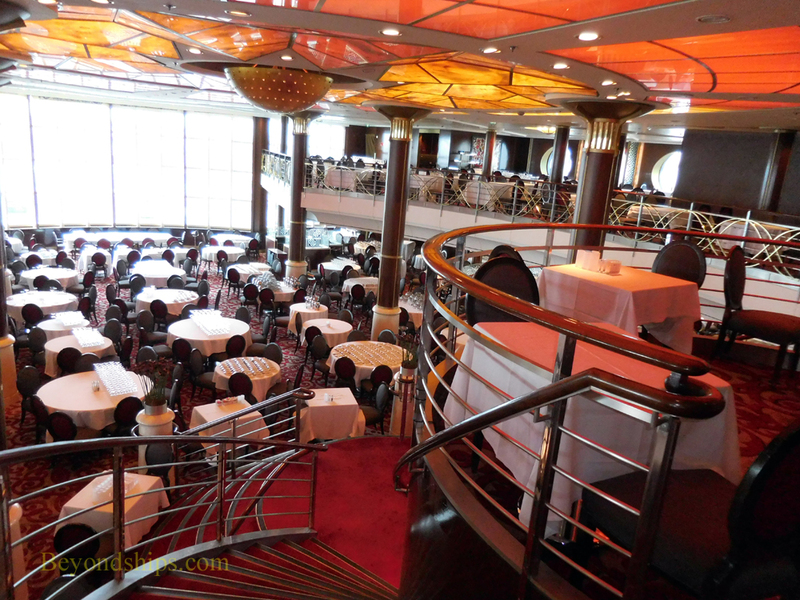 Most guests dine in the two-deck San Marco Restaurant. 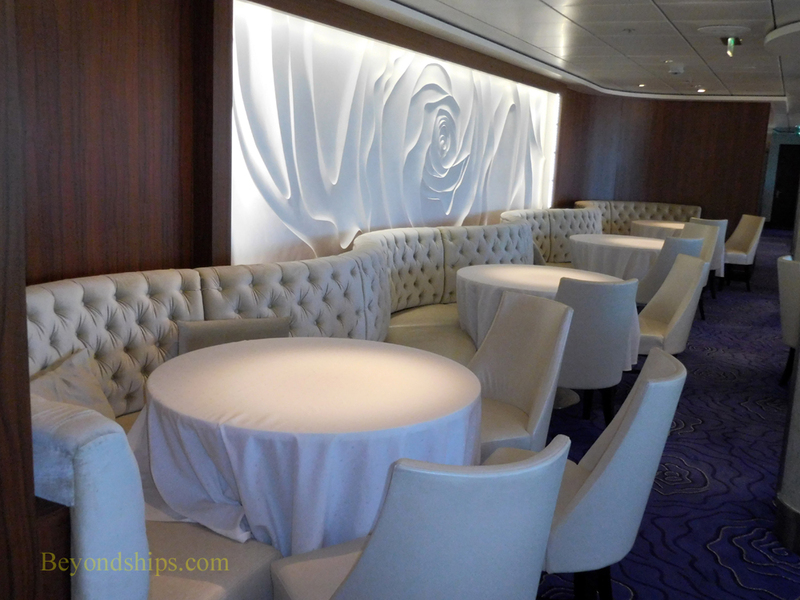 It is open for breakfast and lunch (sea days only) on an open seating basis. 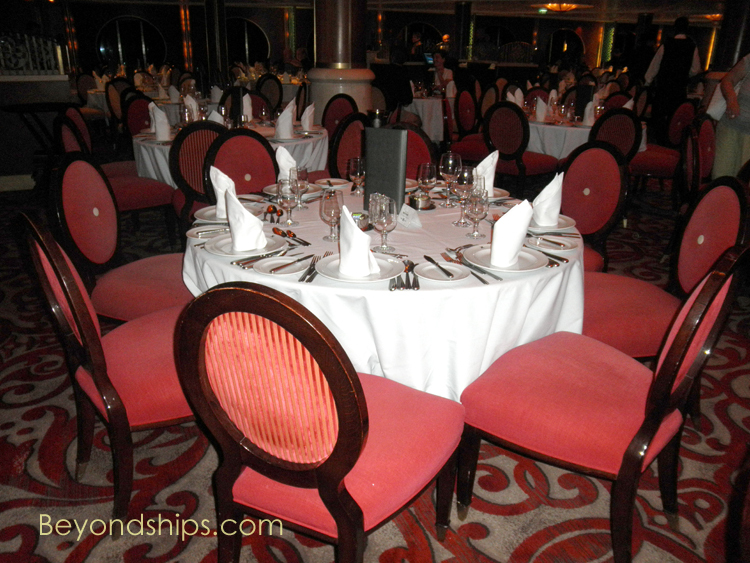 For dinner, guests can elect either the traditional system under which each guest has an assigned table at one of the two seatings or a flexible dining system in which the guest can come whenever the restaurant is open but may not have the same table and waiters. 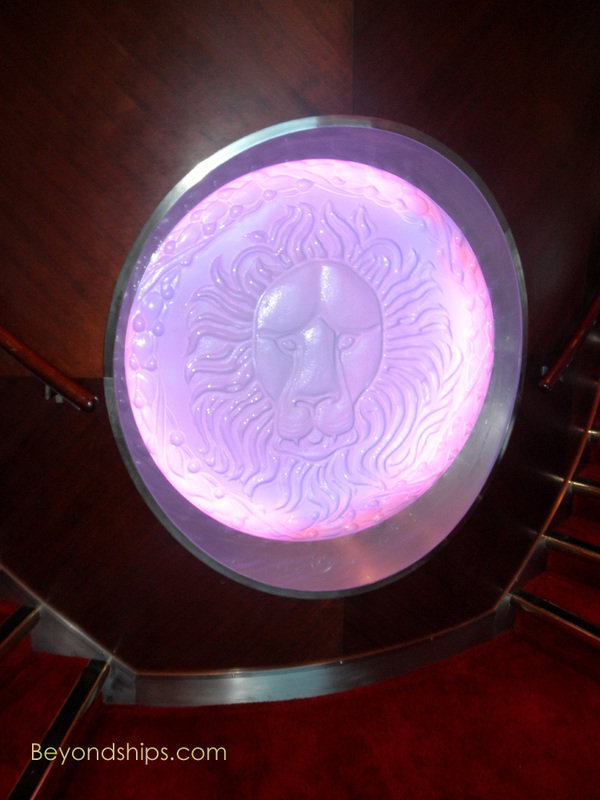 Guests staying in Suite Class accommodations have exclusive access to Lumnae for breakfast, lunch and dinner. 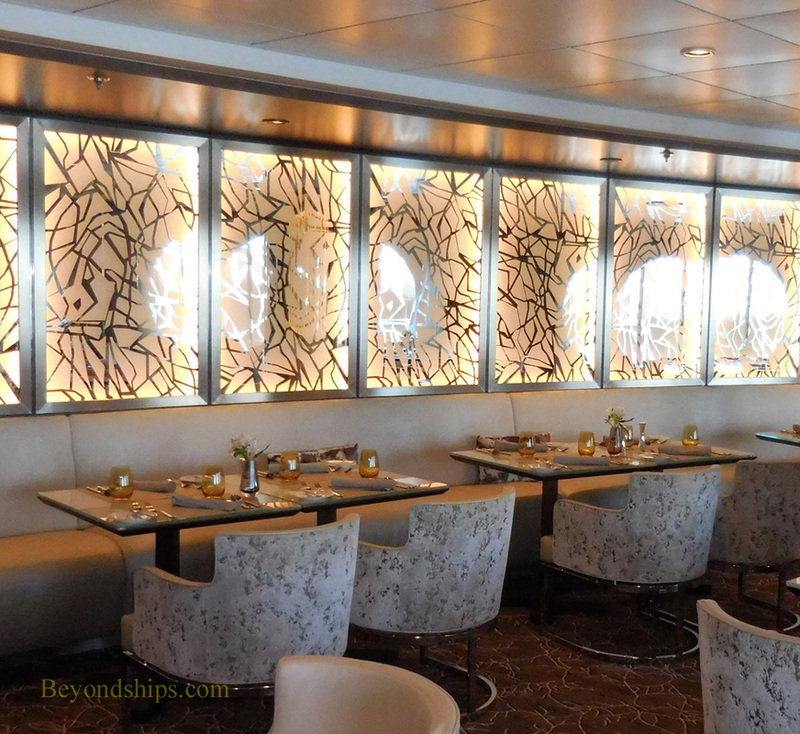 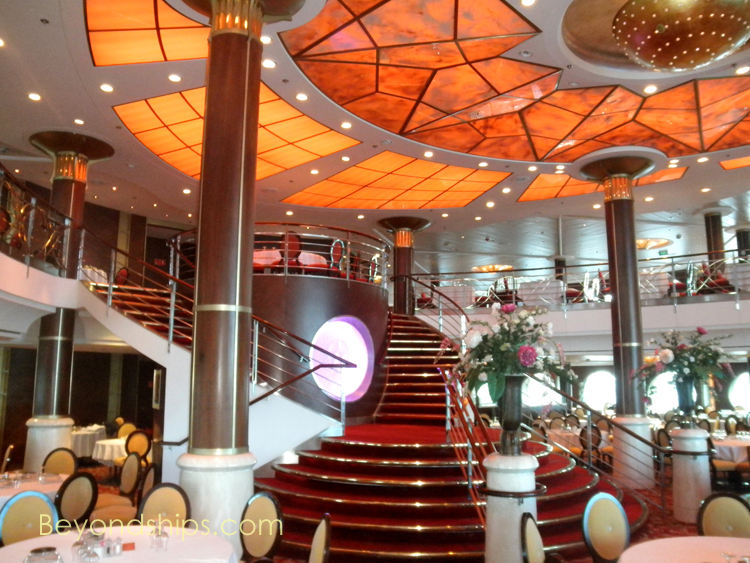 This is designed to be a luxury experience serving dishes not offered elsewhere on the ship.